Are you an experienced Dialysis or Critical Care Nurse looking to join a growing team? 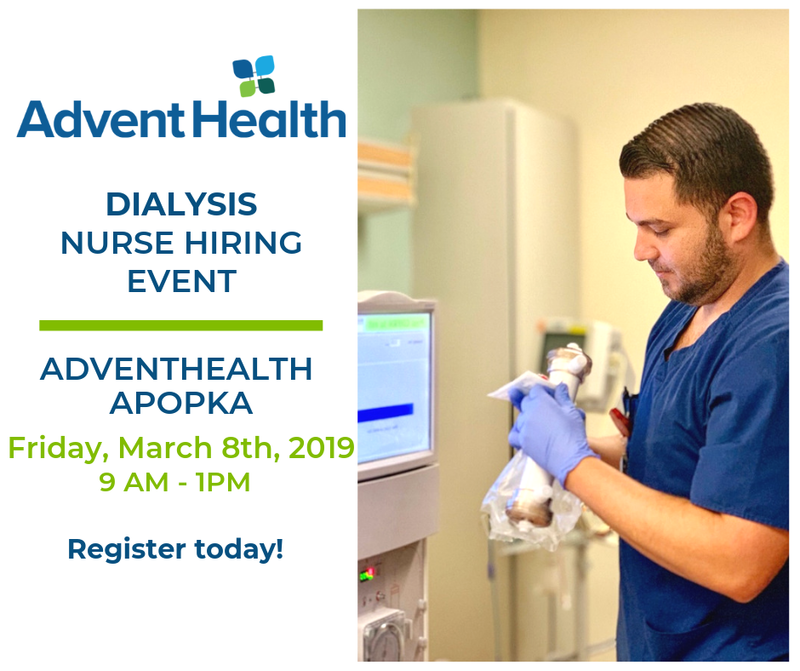 Come meet our Nurse Hiring Managers on March, 8th, 2019 from 9 AM – 1 PM at AdventHealth Apopka! We are offering interviews and on-the-spot job offers to work at our Kissimmee, Celebration, East Orlando and Winter Park campuses. We are offering a $10,000 sign on bonus for eligible candidates. « Come see our Nurse Recruiters at AMSN Annual Convention!